12mm flat glass awards - free-standing jade peak flat glass awards, 7in x 9.25in, suitable for engraving as corporate recognition or achievement awards. 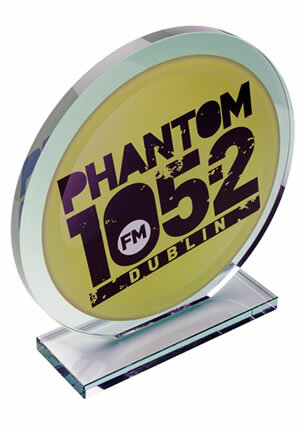 A desktop award that gets straight to the point. 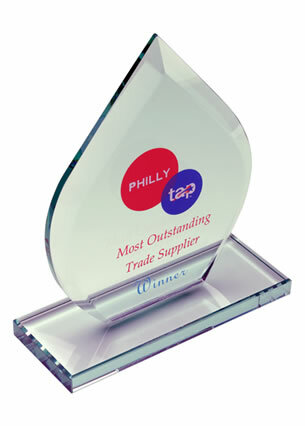 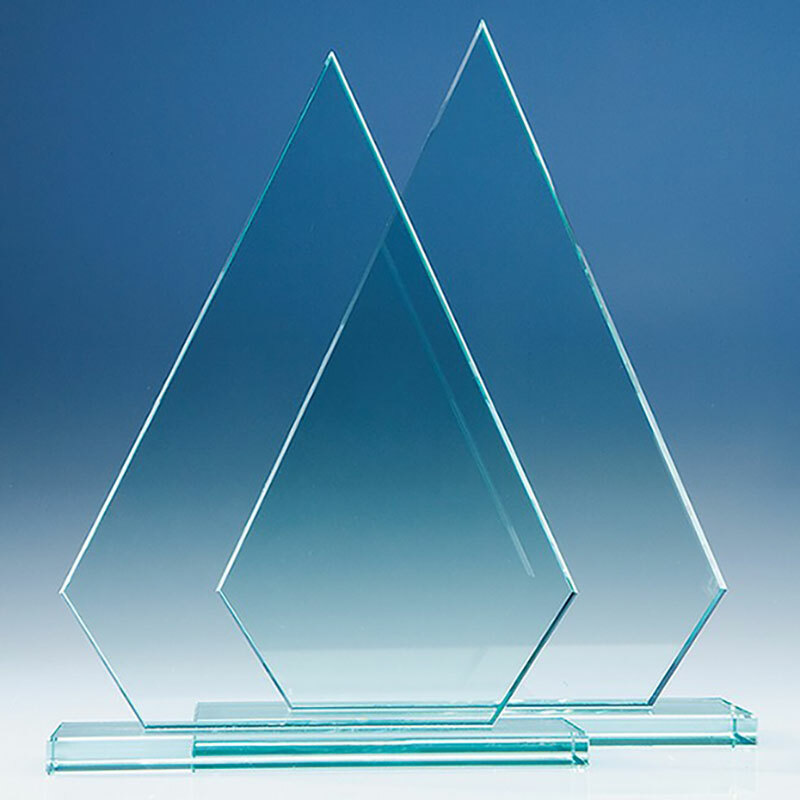 These 12mm thick flat glass awards feature a distinctive angular peak and come with an integral glass stand. 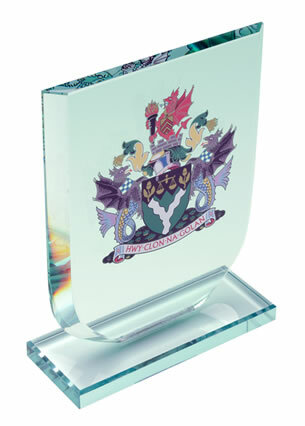 Perfect for engraving as recognition or achievement awards, they are offered with engraving and/or colour print options from Crystal Awards Supplier.